Nothing beats the soothing and relaxing smells of nature. Lighting up natural scented candle also brings you harmonious atmosphere at home. Join us this April to enter a world filled with refreshing scents, learn the safety rules and application of essential oil and explore the ways to make your favourite all-natural essential oil. 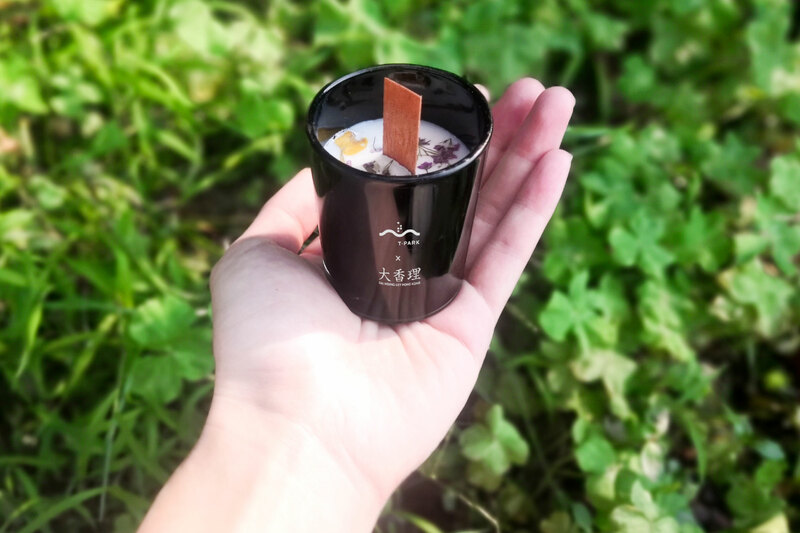 You can also create your own preservative-and-plasticizer-free soy candle inserted with natural dried flowers and experience the smells that are naturally fantastic. The registration deadline is 03 Apr 2019 noon. All participants shall be aged 16 or above. Participants should bring along their own bag to carry the soy candle. The workshop approximately takes 1 hour 30 minutes, including introduction. Participants shall be physically fit to participate in the workshop. Individuals who are pregnant, allergic to aromatherapy oil or with chronic diseases, such as heart disease, high blood pressure or low blood pressure are not recommended to join the workshop. For questions related to health conditions, participants should seek medical advice before workshop. Successful applicants will receive a confirmation call within 3 working days after the deadline of application and also receive a confirmation email together with a booking code, 3 days before workshop day. If the number of quota is exceeded, quota and waiting list sequence will be allocated by balloting. Unsuccessful applicants will receive a waiting list email within 5 working days after the deadline of application. Please provide sufficient and correct information required for all participants. Application will not be processed if there is incomplete information. For those registrants who are unable to attend the workshop after registration, please email to tcommunity@tpark.hk or call 2803 0991 (Workshop Hotline, Miss Yuen) for cancellation. Walk-in registration commences at 13:00 and 15:00 respectively on the event day at reception counter on G/F, Environmental Education Centre. Quota(s) will be released to T ▪ PARK registered visitors 15 minutes after the start of the workshop on a first-come, first-served basis while seats last. Participants are encouraged to take reserved shuttle bus to T ▪ PARK. For visitors who need parking space, please make separate reservation at our online booking system and inform us through email or telephone for cancellation of shuttle bus services. There will be filming and photo shooting during the workshop. The footage and photos might be used for environmental education and publicity of The Government of the Hong Kong Special Administrative Region, Environmental Protection Department and T · PARK.